Use the search box in upper left corner to find earlier posts of interest. Fall 2018: First Wednesday Genetic Genealogy Lectures, Richland Place, Nashville, TN. 9/15/2018, 1 PM: DNA Chat following MTGS meeting, Brentwood, TN, Public Library. October-November 2018, Friday DNA talks, Blakeford, Nashville. 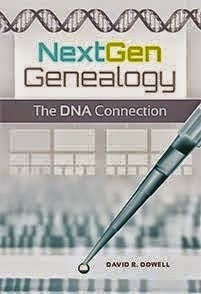 11/17/2018 "Knowing how we REALLY inherit DNA helps us breach genealogical brick walls." MTGS Annual Seminar, Brentwood, TN. Public Library. Ebook Sales Surpassed Print Books or did they? What DNA Test Should You Take? Ron Arons will be the primary speaker at the San Luis Obispo County Genealogy Society meeting on Saturday, June 4th. The meeting will be held at the IOOF Hall, 520 Dana Street in San Luis Obispo. The public is invited to attend free of charge. A map showing the location of the IOOF Hall is available. The meeting will begin at 12: 30 with a research class “Resolving Conflicting Evidence” taught by Cafi Cohen. After a short business meeting and refreshment break, Ron’s presentation, “Putting the Flesh on the Bones,” will begin at 1:45. Ron is an entertaining and well-respected genealogy speaker. Find out how to go beyond the Who, What, Where & When of genealogy. Learn to think about "Why" your ancestors behaved as they did. If you miss Ron this week, he is scheduled to return in February as one three featured speakers for the 2012 Genealogy Seminar. However, his presentations that day will be on different topics. I have heard Ron speak and he is both informative and entertaining. He also has an engaging personality. 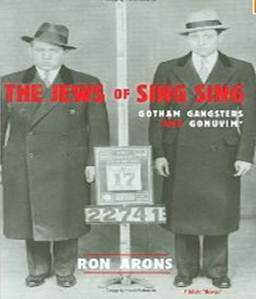 Ron specializes in Jewish research and documenting the lives of criminal ancestors but his presentation on Saturday will be applicable to all family history researchers. I hope to see some of you there. I'll see you there, Dr. D. I've met Ron and heard him speak, and yes, he is quite entertaining! I hope you will introduce yourself.